Sean graduated from Keele University and studied to become a Solicitor at the College of Law in Chester. 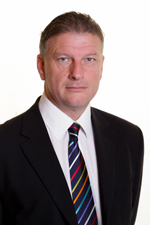 Sean has worked in the field of family law in Sheffield since 1986 and has experience of all areas of family breakdown. Sean appears regularly in local courts on behalf of both privately paying and legally aided clients. Sean offers straightforward and clear advice and focuses on achieving positive outcomes. Sean became a Partner at Norrie Waite & Slater in May 2016. Outside of work Sean enjoys walking his dogs, gardening and has an interest in military aviation particularly Vulcan XH558.